It’s hard to believe, but 2018 is right around the corner! Each year, Pantone selects one “color of the year”, which represents trends in the world of design. Pantone’s 2018 Color of the Year is called “Ultra-Violet” and we are ultra-excited! 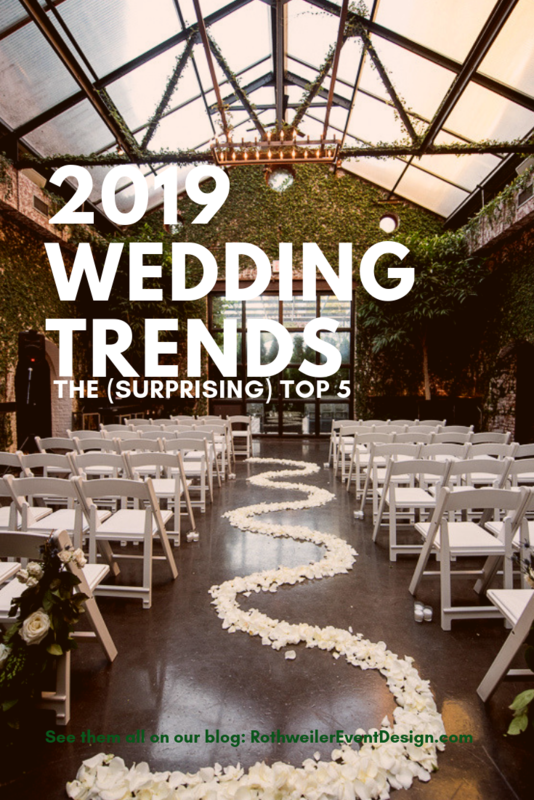 The past few years have been all about pastels and greenery in the wedding world. Don’t get me wrong, I loved it all but Ultra-Violet brings a different type of energy that we really need in wedding designs. 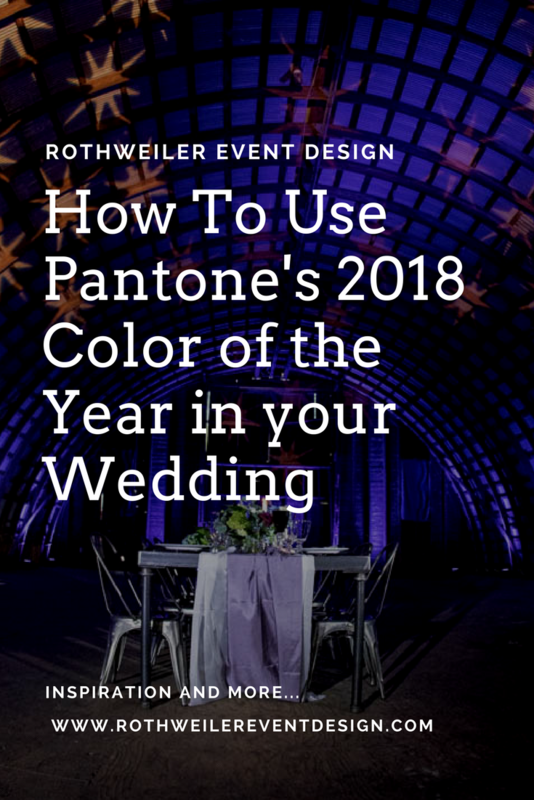 In this blog, I am going to show you how to use Pantone’s 2018 Color of the Year in your wedding! Lighting plays a big role in the world of wedding design. It enhances what you want to see and hides what you don’t. 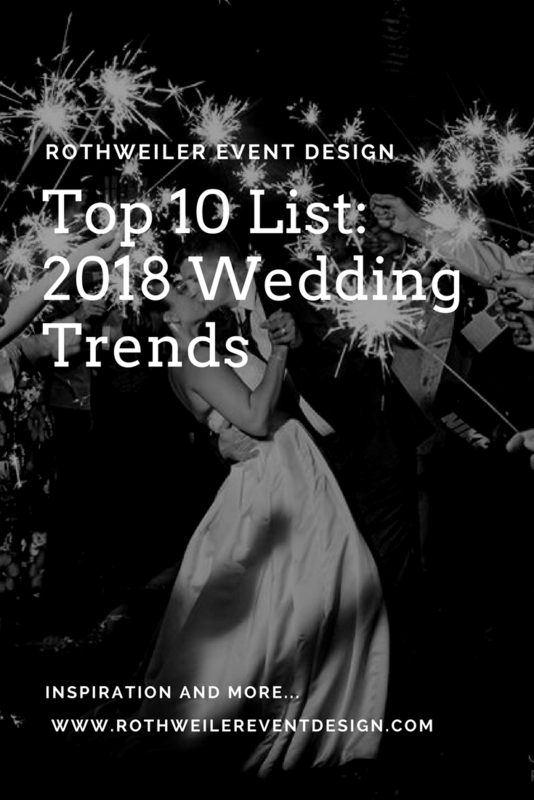 A great way to use Pantone’s 2018 Color of the Year is by having it illuminate your wedding. This shade works with many different color palettes, but really shines when using lighter colors in the same family. 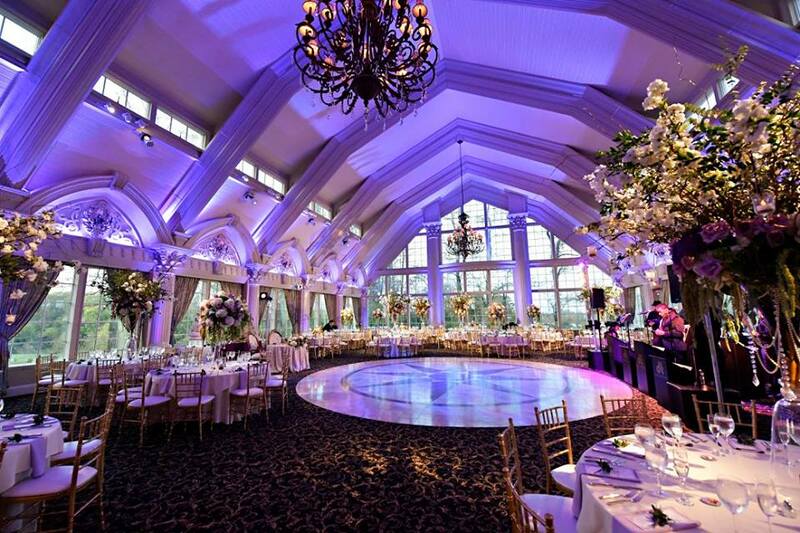 You can use ultra-violet as your uplighting color of choice, or even in your monogram over the dance floor. 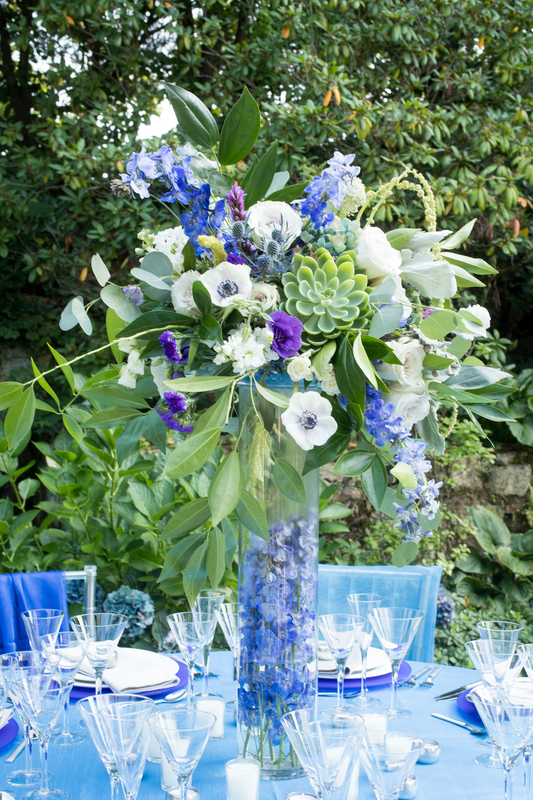 Not looking to make your reception ultra-violet? Another great option is to use lighting outside, like we did for our Solar Eclipse Styled Shoot earlier this year. 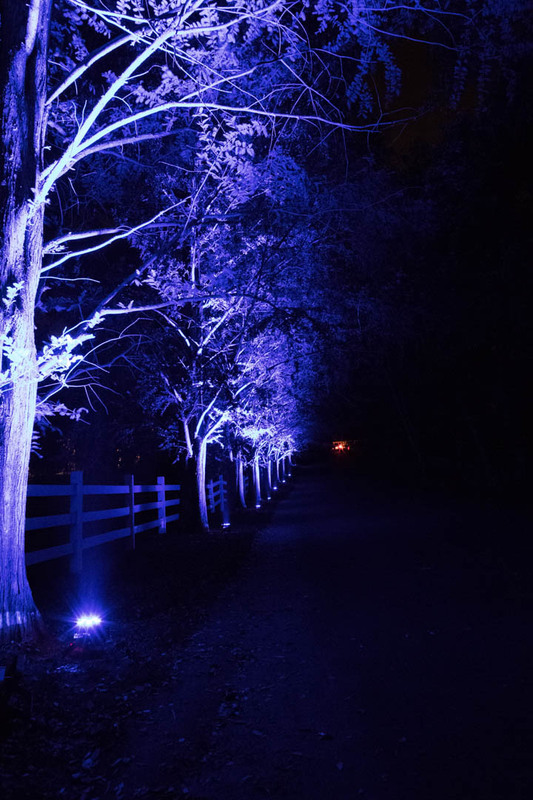 The purple lighting added a romantic glow to the tree-lined driveway. Have this lighting in place to give your guests something to look at even as they depart for the evening. Just be sure not to spoil the surprise! 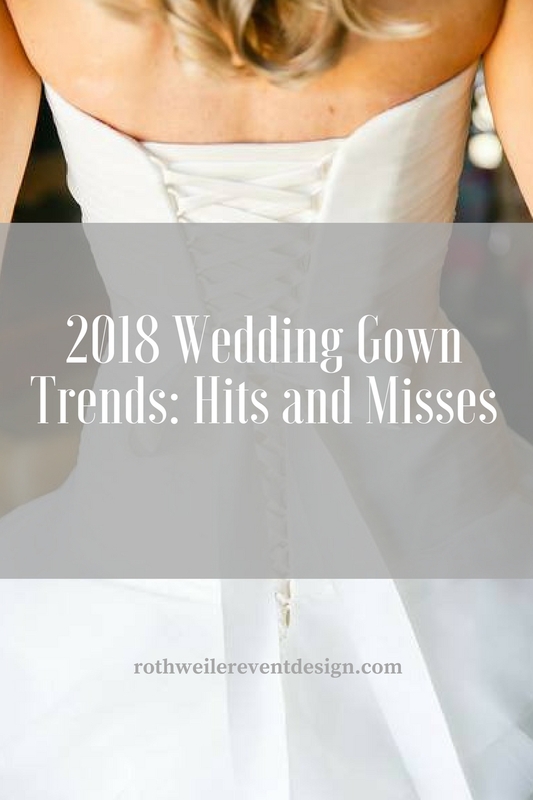 Pantone’s 2018 Color of the Year is romantic and bold, but could be too much of a statement for some brides and grooms. For an outdoor wedding under a tent like the one we designed in the picture above, a softer shade of the color is the best choice. Mix in some white florals and touches of greenery to complete the look. Since Pantone’s 2018 Color of the Year is blue-based, don’t be afraid to mix in shades of blue with ultra-violet for a super dreamy look. We used this color combination in our Solar Eclipse styled shoot to create a rustic chic and showstopping centerpiece. If you’re looking to combine colors like we did here, keep your glassware and holders simple by using clear pieces with little detail. If you’re like me though, and Pantone’s Color of the Year also happens to be your favorite color, then go all out for a monochrome bouquet like this one! 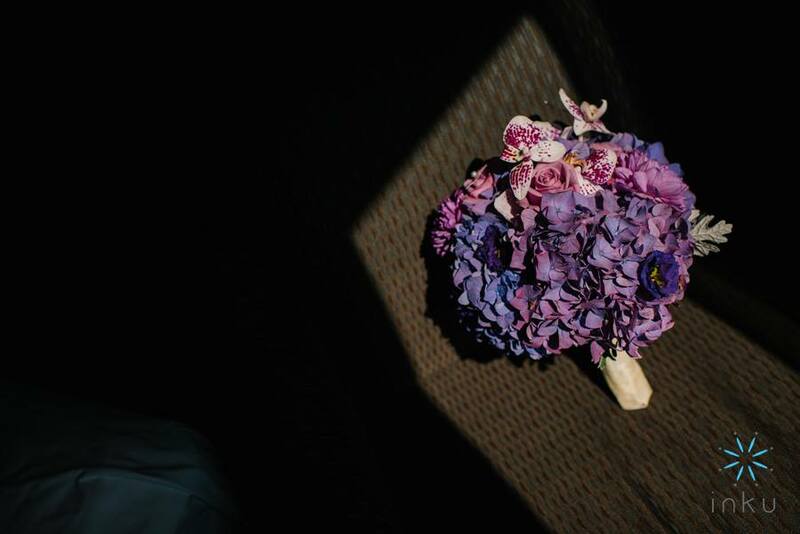 A bold contrast to a white wedding gown, this combination of purple flowers is perfect for a chic event. 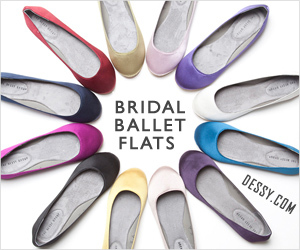 Ultra-Violet bridesmaid dresses are stunning, and our friends at Dessy have so many options to choose from. 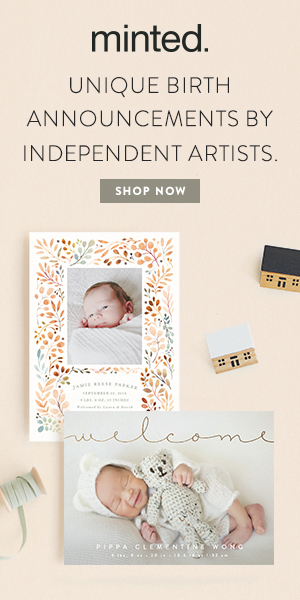 The best part is that they are offering 15% off and free shipping now until December 21st! 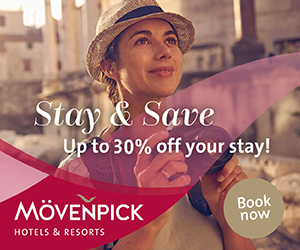 Head over to their website and let your squad know to use code COTY18 before this amazing deal is gone! 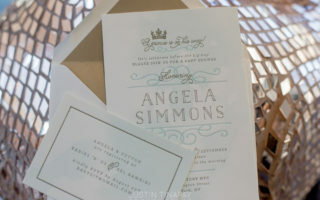 As a wedding planner, I like to see aspects of the overall design in as many places as possible on the big day. 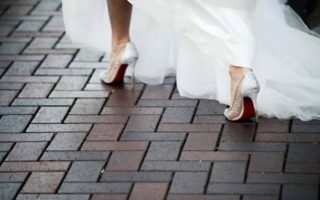 Creating a cohesive look is something many brides and grooms struggle with, and it’s not uncommon to run out of ideas. The food served on the wedding day should taste amazing but also be presented well. 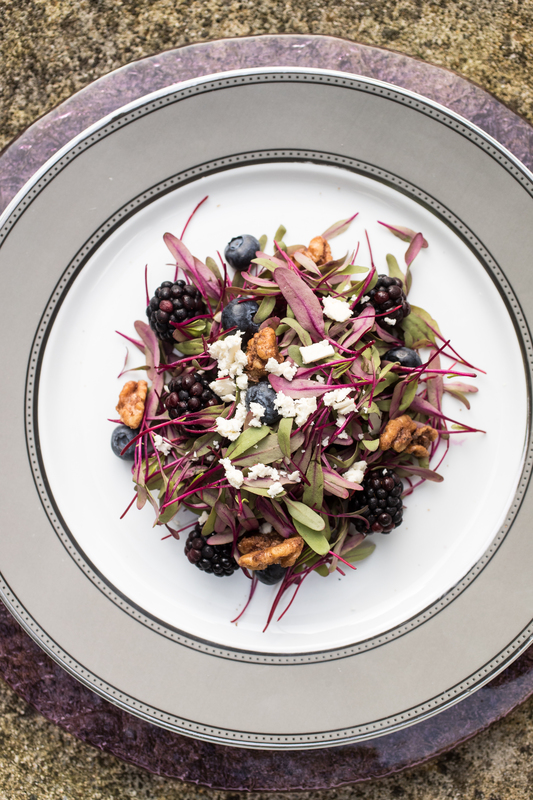 In this dish created by one of our caterers, the colors of the wedding were incorporated. You can work Pantone’s 2018 Color of the Year into your dinner service too! When working with your catering team, keep your colors and theme in mind. 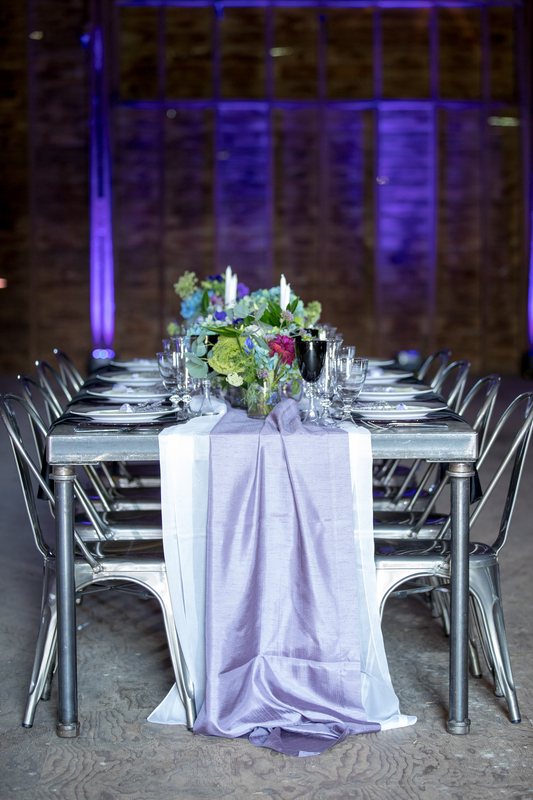 You can use amazing rentals such as the ultra-violet glass charger plate above to really create a chic dining experience. 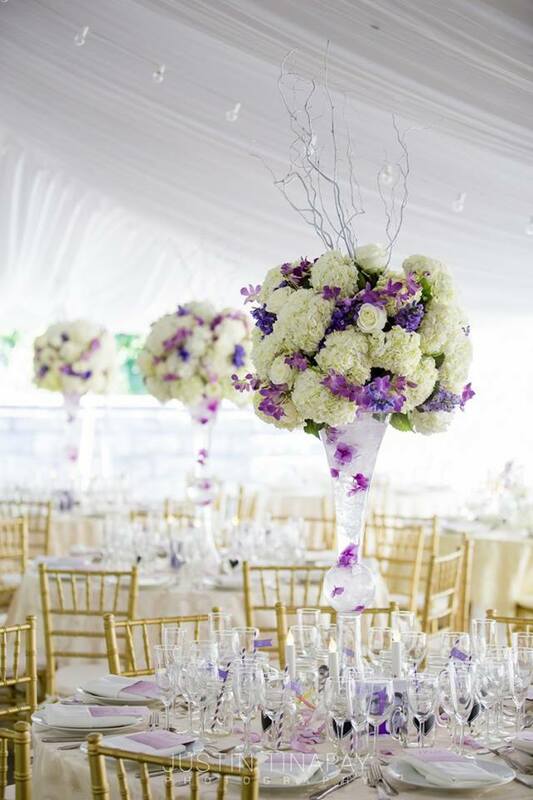 With a color as strong as ultra-violet, it’s important not to let it overwhelm the wedding decor. If you want to use Pantone’s Color of the Year in your linens, consider something similar to what we did above, and work in another color. The purple table runner is romantic on its own, but when we added the sheer white runner underneath, the look became unique. 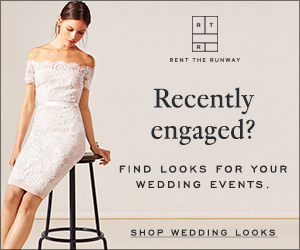 If you’re attending a wedding and want to rock Pantone’s 2018 Color of the Year, but you’re not sure how long you’ll love ultra-violet, then head over to Rent the Runway. 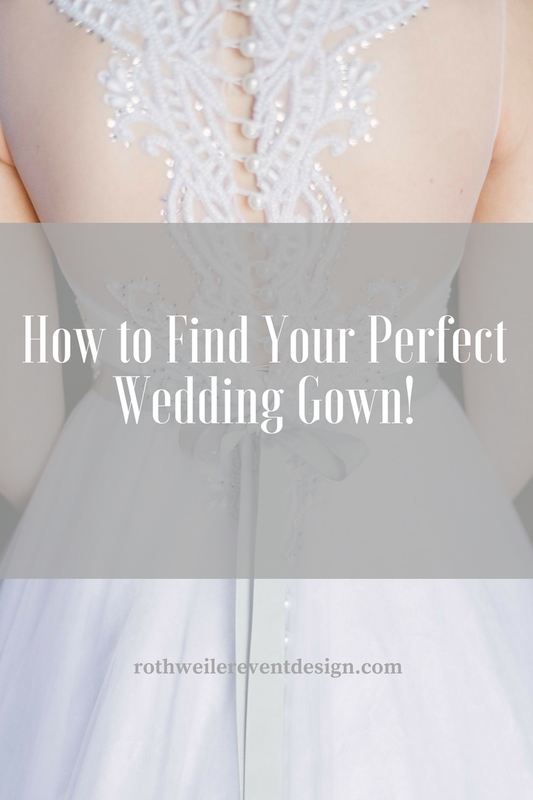 I love using this site because you never have to wear the same dress twice and I can make my selections without leaving the house! 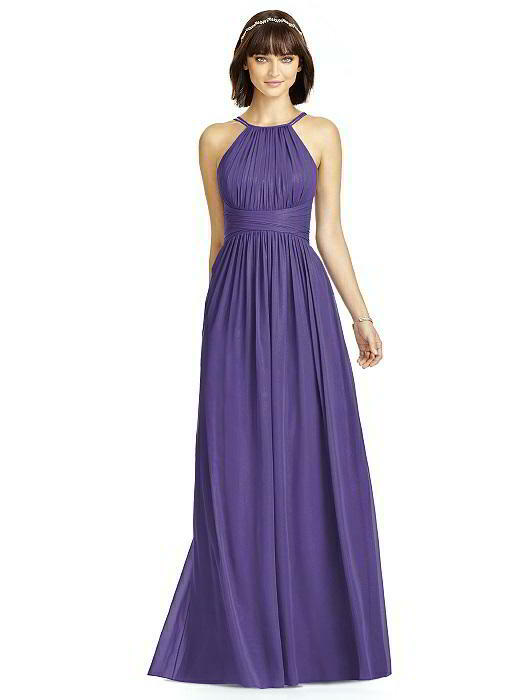 I am loving this chic purple dress that retails for over $200 and is available for less than $40! 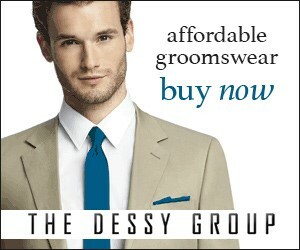 Plus, if you’ve never shopped with them before, enter the code FIRST you can get an additional 20% off! 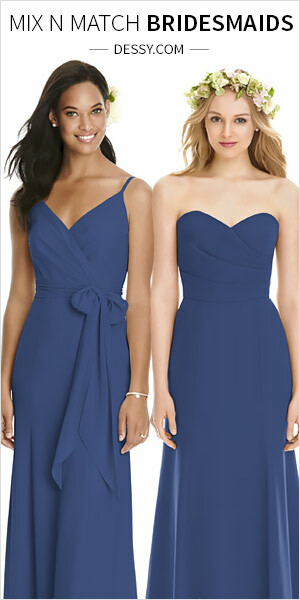 Rent the Runway is also a great option for bridesmaids’ dresses, especially since no one ever really wears them again. 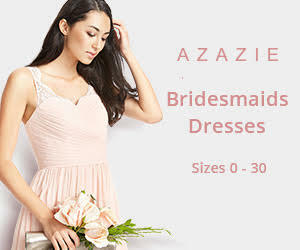 Don’t want your bridesmaids wearing the same gown? 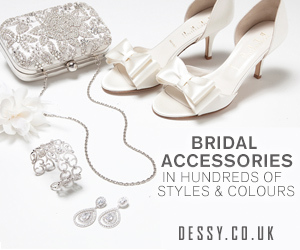 Maybe you only have one bridesmaid and want something extra special? 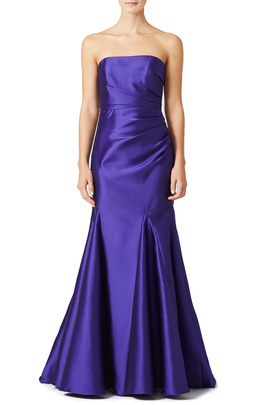 This Badgley Mischka gown is stunning and perfect for the bride that wants her girls in the color of the year. 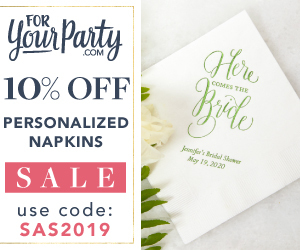 With a retail price of close to $700, your bridesmaids will thank you when they don’t have to spend more than $100…especially if they use the code FIRST when making their selection! 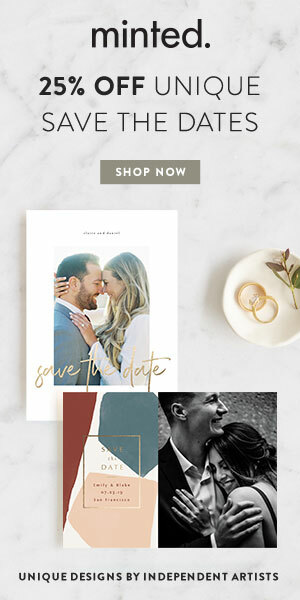 Our friends at Minted have just come out with “All in One” wedding invitations like this one. 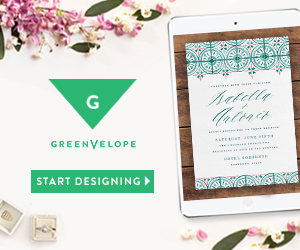 Perfect for the bride and groom looking to cut down on enclosures, this invitation opens up and gives your guests everything they need. 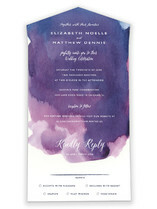 I love the purple tones and how they are softened by the white font and watercolor design. 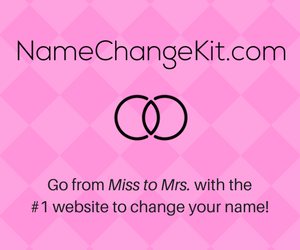 You can find even more options on their website right here! No matter how you choose to incorporate The 2018 Pantone Color of the Year, the choices are endless. Ultra-Violet is bold and dramatic enough for a swanky New York City wedding, but can be soft and romantic enough for a wedding in the country. 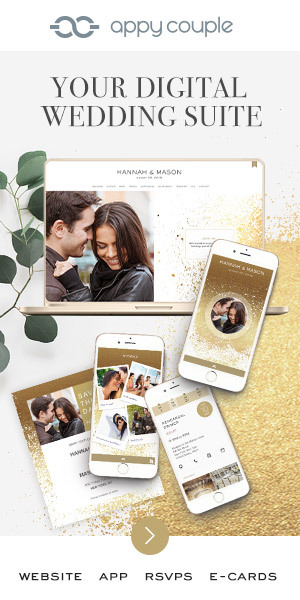 We haven’t seen a strong Color of the Year like this for a few years now and I can’t wait to see couples embrace it. How will Ultra-Violet be part of your wedding day? 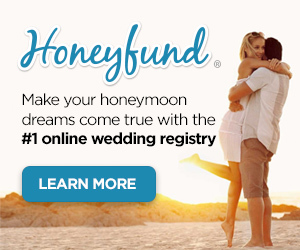 Share in the comments below and inspire other engaged couples!